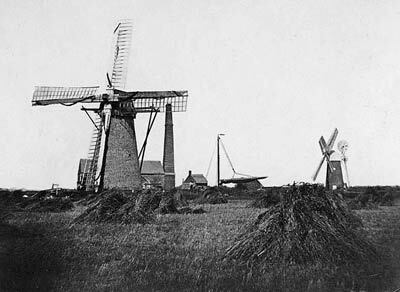 Acle Marsh Farm drainage mill was built with common sails and was turned to wind using a tailpole. The mill had ceased working by 1905, although the adjacent steam mill continued pumping until the 1930s. It is believed the site was owned by Lord Calthorpe.